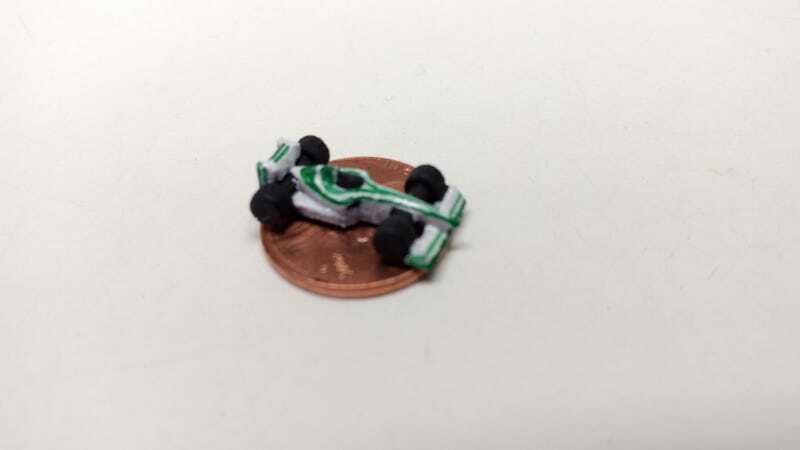 What's the smallest car you've ever painted? Recently my friend Charlie bought some 2000's era F1 cars for the Formula D racing board game. I got to spend the afternoon with a friend I don’t see nearly enough. Here is my attempt to do a two-tone green on white on this tiny car. Sitting on a penny for reference.